Universally, the last couple of years have seen the birth of the growing number of E-commerce portals like Amazon, Ebay , etc . These new-age businesses founded by young technology entrepreneurs have ventured into almost every domain and category of products and services possible, i.e., travel booking, digital wallets, appointment scheduling, grocery, electronics, and so much more. At the moment, almost every single need of an individual customer is getting serviced online by numerous e-commerce companies. ​Regardless of the fact that a number of these new-age enterprises have achieved “cult status” with multiple billion dollar variations in their nations of origin, there have been more than a few who have collapsed alongside the way. Newspaper reports and studies affirm that failures are pretty much higher in this extremely competitive industry compared to successes. 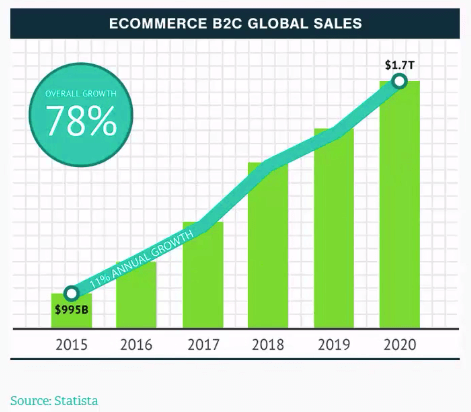 At the basic level, the business model of most e-commerce firms is identical. They either operate on an open market model or execute their own inventory-based model. So, in spite of having a more or less identical business model, what is it that differentiates successful e-commerce ventures from unsuccessful ones? While technology is a non-negotiable determinant, experts quote after customer service and sales support to be some of the most substantial factors that determine the success of e-commerce businesses. Even more, prompt and effective customer care support is vital for the success of every e-commerce business. In the present age of heightened customer activism, an individual discontented client can immensely dent a corporation’s reputation with a single update on the widely embraced social media platforms. Adopting the best practices of client relations management is therefore essential for businesses wanting to attain a competitive edge in this extremely competitive industry. When Does It Make Sense To Outsource E-commerce Customer Support? Opting to outsource this service is a tactical decision and one that deserves careful consideration. 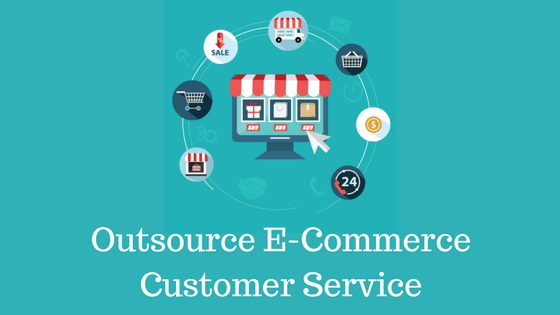 ON this section of the post, we have highlighted on the 5 situations where outsourcing E-commerce customer service makes perfect sense. 1. In case you are a startup. Let us say you are a running startup. You are operating with a small team, and you desire to focus on the core business functions for the time being. It is possible that your client base is still somewhat small and your company can handle every customer service inquiries coming your businesses way. But as the number of clients increases, you’ll need more and ampler time to devote to your clients. According to published research, 45% of Business to Consumer (B2C) clients make more buys after an impressive customer experience. For Business to Business clients, this percentage rate is a shouting 62%. The quality of customer care service can significantly impact the successes of your startup venture in its early stages. Your customer care service complexity is also dependent upon which channels you utilize and which languages your clients speak. In case your clients are from varying nations, or you are using numerous channels, you might want to consider outsourcing. For every starting business, receiving a good client feedback is crucial to improving products and services, so once you do outsource, ensure you operate with a partner who passes this feedback onto you, so you are always kept in the loop. 2. If you need customer service in numerous languages. Your client base might be spread out worldwide. For an amazing client experience you will need customer service agents that can speak your customer’s language. In case you have queries coming in different languages with a comparatively low-volume of each, it makes total sense to partner with an outsourcing company that can provide shared representatives. These shared agents work on various projects at the same time implying lower costs per every project that is passed on to you as a customer. Even more, partnering with shared agents permits you to cover a wide assortment of languages at the same budget as employing one agent in-house. 3. In case you need multi-channel customer service. Once it comes to customer care, every utilized channel is treated as its own discipline. Social media channels differ significantly from phone and e-mails are very different from chats. Every channel needs its own set of skills and infrastructure. In case you desire to include a new channel to your company’s customer care service offering, it makes sense to employ an outsourcing party well experienced in offering support on this new channel. This saves you since you won’t have to invest in new infrastructure or coach new representatives for that specific channel. 4. In case you need flexibility. In case you anticipate significant fluctuations in customer service volumes, it may be the best idea to consider partnering with an outsourcing company. It makes little sense to devote internal resources on coaching and assisting representatives for short periods of time. Since various outsourcing partners already work with pools of shared agents, most of these agents can be re-coached to work on other projects in the event that your projects incoming volume starts to drop. Once the volume picks up again, the amount of agents can easily get scaled up so as to ensure no calls go unanswered. 5. In case you need skilled individuals, Fast. Working as a customer care service representative needs a specific set of skill. You will need to ensure that the individuals directly relating to your clients are amazing at everything they do and can be relied on to represent your firm. When you employ an outsourcing partner well experienced in employing customer service agents you can rest assured that they have an idea of what to look for in every new hire. 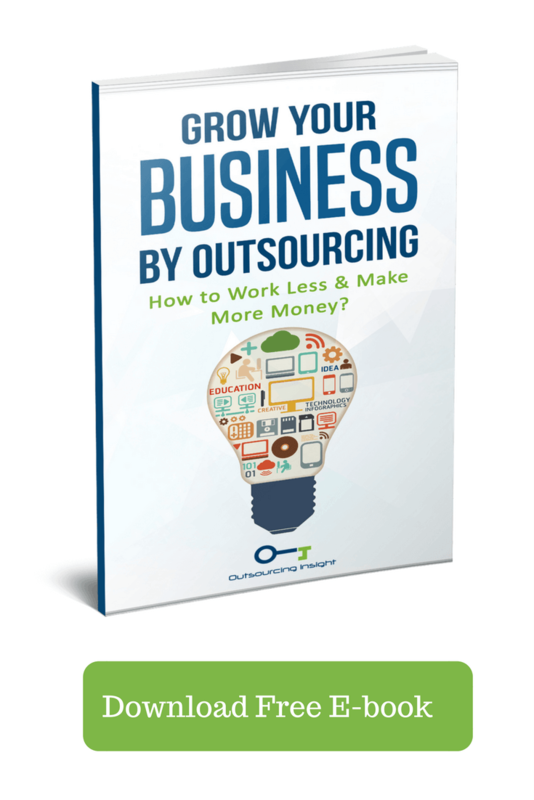 In all fairness, it is possible for e-commerce companies to create their in-house customer support functions, but most companies desire to outsource them to experienced outsourcing partners. 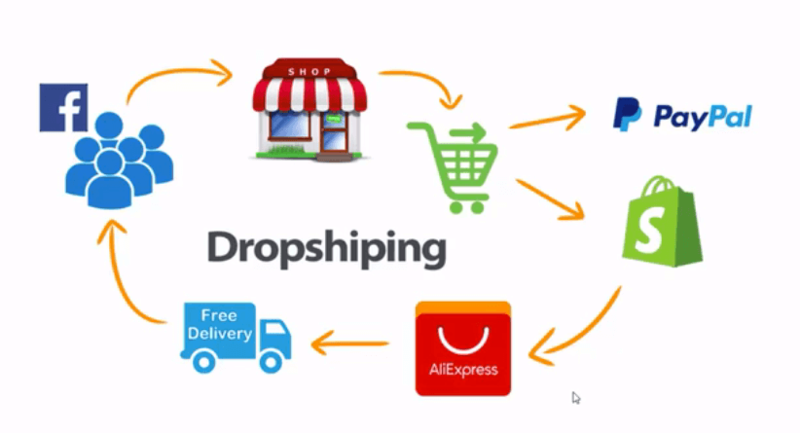 This simple arrangement brings about multiple benefits to an e-commerce company. Below is a summarized review of some of the benefits. 1. They get to focus on their core business. Well, perhaps you already understand that by engaging third-party customer care support service providers, e-commerce firms get to free up their internal resources so they can focus on core business functions such as analytics, data mining, marketing and sales, accounting, engineering, and so much more. 2. They get to attain Industry focused services. Customer care support for e-commerce firms involves adopting of the new age technology equipment and specialized set of skills. Even more, e-commerce portals need a multi-channel customer care support contact center that includes SMS, e-mail support, live chat, and voice calls so as to offer a smooth experience to its clients. An industry focused on providing call center services will possess the necessary tools and resources to provide such services flawlessly to its customers thus improving general client satisfaction scores. 3. They get to access specialized talents. Customer service is a dedicated function and needs experienced experts to manage it effectively. Outsourcing this function helps e-commerce firms to gain access to well-experienced customer care service professionals without the need to employ and coach them internally. 4. They get to attain round the clock customer care support. 24*7 customer support assists in bringing about a quick response to client’s questions and complaints thus improving brand perception and increased business. Besides these services, a number of the customer care service providers also ensure that they manage feedbacks and customer reviews across all social media platforms and customer networks. These service providers coach their staffs to track client feedbacks, respond to their questions, and make them feel valued across every social networking platform. In this new era of social networking; where a single tweet or status update can result in substantial damage to the revenue generation abilities of business companies, it’s extremely imperative for all e-commerce firms to maintain healthy reputations. India happens to be one of the leading destinations for outsourcing customer care services. Customer care call centers in India possess a pool of competent workers who can promise enriching conversations to the clients, which would eventually assist business organizations in retaining their already existing clients as well as garnering some new clients. They are well trained to offer the best experience to clients by combining empathy and understanding on the issues that a client might be facing after buying a specific product or availing a certain service. The workers of every customer support service providers are comprehensively and regularly trained on all products and services a firm is willing to serve its clients with. Furthermore, these customer support service providers possess official recognition policies for their workers regarding order processing, request registering, complaint handling, and/or troubleshooting. Employing these services from certified and trained experts assists e-commerce businesses to deliver incomparable service experience in a professional and timely manner. Outsourcing customer support functions to outsourcing partners, most established e-commerce companies and organizations have achieved their business objectives. This has led startups and new e-commerce firms to follow their footprints.